Messi was sidelined for first four matches of South America World Cup qualification due to a knee injury. 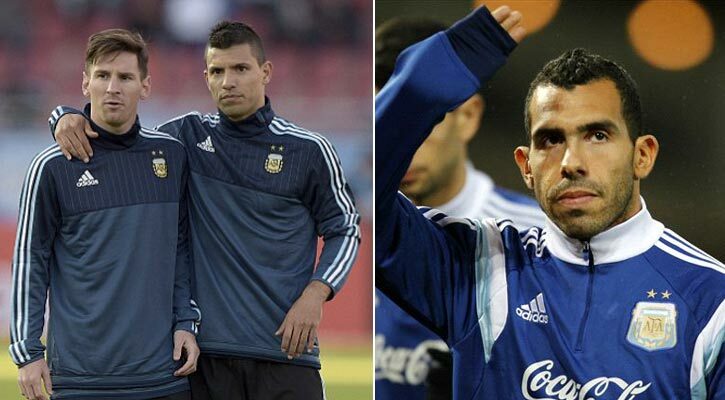 His absence is felt well by Argentina. Finally, Lionel Messi return into Argentina squad. Qualifying matches against Chile and Bolivia coach Gerardo Martino announced this 23-man squad. However, Carlos Tevez missed the place. Leave Juventus at the end of last season, struggling with his best form after returning to Boca Juniors. On the other hand, in addition to Messi, Manchester City star Sergio Aguero returns from injury (missed the last three matches). Argentina will face host Chile at next March 25. The match of Alabiselesta against Bolivia at home on March 30. Both matches will start at Local 6 pm. At the end of four games with one win, two draws and a defeat Argentina at number six with 5 points. To ensure 2018 World Cup tickets at Russia, both match are must important for Messi and Aguaro’s. Goalkeepers: Sergio Romero (Manchester United), Nahuyel Gujaman (Tigresa) and Jeronimo ruyi (Real Sociedad). Defenders: Pablo Zabaleta (Manchester City), Facundo Roncaglia (Fiorentina), Gabriel Mercado (River Plate), Nicolas Otamendi (Man City), Mateo Musacchio (Villarreal), Ramiro Funes Mori (Everton), Marcos Rojo (Man United), Lionel bhanajioni (River), Javier Pinola (Rosario Central) and Martin Demichelis (Man City). Midfielders: Javier Mascherano (Barcelona), Matias Kranevitter, Augusto Fernandez, Angel Correa (Atletico Madrid), Enzo Perez (Valencia), Lucas biglia (Lazio), Javier Pastoret (PSG), Ever banega (Sevilla), Angel Di Maria (PSG ), Eric lamela (Tottenham) and Nicolas sang (Benfica). Forward: Ezekiel Lavezzi (Hebei China Fortune), Lionel Messi (Barcelona), Sergio Aguero (Man City), Gonzalo Higuain (Napoli) and Paulo Dybala (Juventus).